The fireworks have been lit, and the New Year has been welcomed. Now it’s time to get back into the thick of things and start anew! With the new year, there will certainly be new faces who will be part of your child care class. Given how young they are, kids at first might find it difficult to be in a new environment. 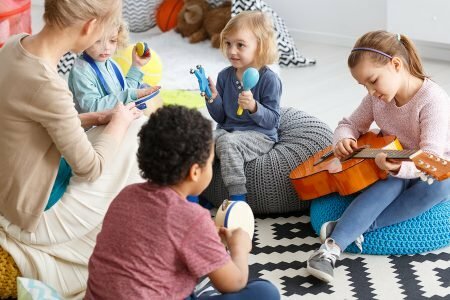 Taking this and other considerations to mind, there are plenty of ways a childcare educator can make new children feel welcome in a childcare centre! If a career change is part of your New Year’s resolution, consider childcare! 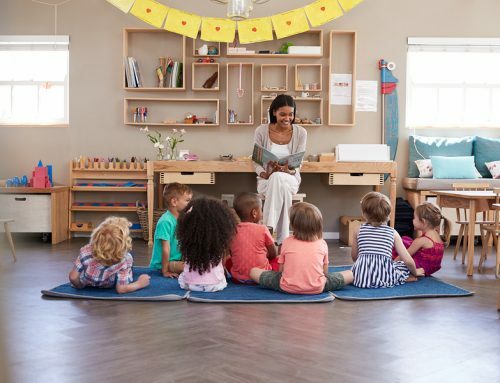 If you want to study childcare and take the first step towards an exciting and rewarding career, we invite you to get in touch with one of Southern Solutions’ career consultants. We’ll help distinguish the difference between the Certificate 3 in childcare and the Diploma. Through our childcare courses, are dedicated to providing a fun, open, and diverse learning environment. What are you waiting for? There’s no better time than now to study childcare! The industry is booming, and our childcare courses start on the 17th of each month. 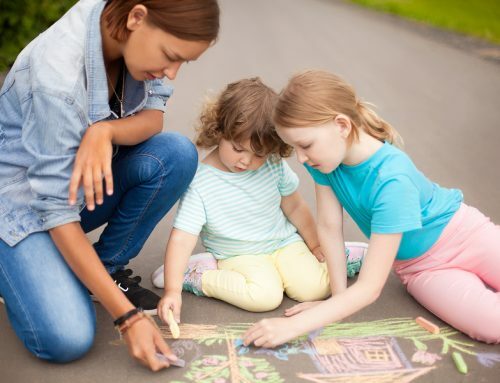 If you’re currently studying childcare and are approaching its completion, there’s no doubt you’re already thinking about your future career in childcare. This week, we want to help prospective childcare educators with some great tips to welcome new children to their centre. Whether it’s the beginning of a New Year, where whole-group transitions take place, or a new enrolment at any other time of the year, the key is to make children feel welcome, comfortable, safe, and happy. Find out how by reading on! While there may be no parades or marching bands to usher them in, a warm and genuine welcome will be appreciated by the new kids as well as their parents. To a child, being dropped off at childcare for the first time can be a little intimidating. It would mean a lot for a child who goes into an unknown territory to see that they are being welcomed with arms wide open. To ease off any anxiety or nervousness, make sure you speak to the child in his or her level. And it would always be great to spend some one-on-one time with every new child who comes in for the first time. And as the smallest of things can make a child feel welcome, you can try putting up a welcome banner or poster on your classroom door. It would certainly delight any new child to see their name up on the door! Making introductions is a common and basic courtesy that can sometimes be disregarded or overlooked – even in adulthood! Introducing new children to each other is a great way to welcome kids, make them feel more comfortable, and to get to know their new friends. When you’re in a new environment, you’re often unfamiliar with a lot of things. This also applies to kids who are new to your childcare centre! Given the fact that they are new, they need all the help they can get. 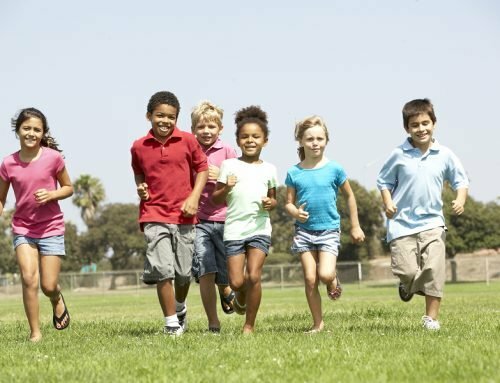 Being one of the new kids can be intimidating and can cause anxiety. Helping at every opportunity will make an immense impact. Want to study childcare? Explore our child care courses! Fulfil 2018’s New Year’s resolution with Southern Solutions! With the new year comes new opportunities and a fresh perspective on life. If you’re looking at becoming a child care educator, there is no better time than now! Southern Solutions is dedicated to creating Australia’s most driven and passionate childcare educators who are committed to nurturing the overall growth and development of all children. We have a range of childcare courses available in Sydney, Melbourne, and Brisbane. Join us now! Call us for a no-obligation chat on 1300 656 321 or fill in this form and we will be in touch!